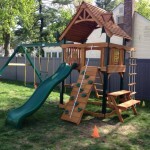 We are the premier Swing Set Installation company in the Tri-State area (New York, New Jersey and Connecticut). Hundreds of successful installations and relocations over the years, our experience cannot be beat! How does Tri-State stack up to the competition? 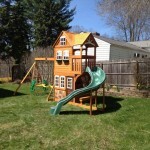 Time – How Long Does it Take Us to Assemble a Playset? 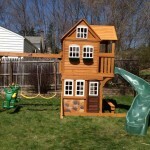 That’s an astounding 95%+ faster than other landscapers, handyman or contractors, and 50%+ faster then other playset professionals. 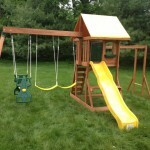 Quality – How Well Are the Swing Sets Assembled? Consider this, a large portion of our work is actually “Assembly Rescue”, where we come to the rescue and fix a swing set that was abandoned or put together incorrectly. Unfortunately, these “Rescue jobs” will often carry higher costs with the need to correct mistakes or replace parts. But you don’t have to worry about that with us. Tri-State gets it right, every time. And we do it fast, so your kids are ready to play on the new set in the same time it takes for the other guys to get to Step 1 on the instruction manual. All of our work is backed by our TRI-STATE WORLD CLASS GUARANTEE so you can relax knowing that your set is built safely and with love. Find a Better Price? Tell us! Let’s get to the bottom line. What about Price? Our quality and prices are top of the line, but if you happen to get a better quote from someone else, let us know! As part of our Price Match Consideration Program we will attempt to beat any quote from our competition. Simply provide us with a written quote from someone else, and we will try to beat it. Need a quote from us? No problem! To Get A Free Quote and Schedule your Appointment Today! New York: Dutchess County, Orange County, Putnam County, Rockland, Ulster and Sullivan Counties, Westchester and the Bronx. New Jersey: Sussex, Passaic, Bergen, Hudson County, Mercer County, Essex County, Morris and Union Counties. 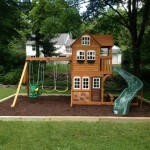 Installing and assembling playsets and playgrounds can be a grueling task. You could find yourself sorting hundreds of pieces of wood, thousands of nuts, bolts and screws, and then failing to even figure out where to begin. Let our professional playground installers take charge and build it so you can focus on more important tasks, like spending time with your family. 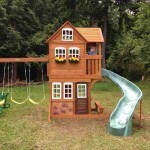 Outdoor playsets are more than just swings and ladders, they are a place of great fun for your children. 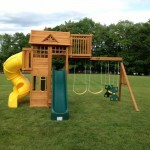 Don’t spend your quality time reading instructions and installing playground equipment. 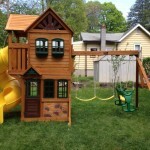 A beautiful swingset adds charm to the landscape of your house. 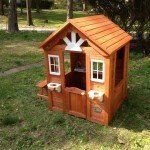 Make sure it’s installed and assembled correctly, professionally (and at a low cost) by our experienced technicians. No more frustrating, confusing instructions, endless parts and pieces of equipment, and half completed installations. Tri-State Delivery and Assembly will take care of all the hard work so you can relax. 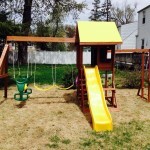 A playground for your children is meant to be a joyful thing so the purchase should not come with the headaches and frustration that often accompany large DIY assembly projects. We have the experience to get it accomplished quickly and efficiently, while insuring outstanding quality and safety. 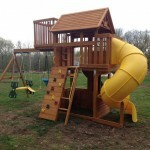 Throughout the years, we have performed thousands of these types of assemblies and if we have learned one thing, it’s that the lone do-it-yourselfer is often in over their head when it comes to large playsets. The hundreds or thousands of individual pieces is hardly ever expected and it is often an overwhelming task, resulting in frustration. We are glad to assist so please call us today if you are facing similar problems.